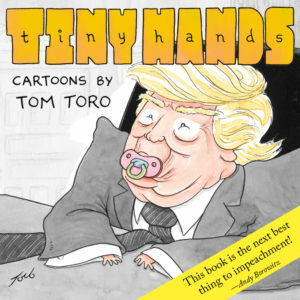 My new book of Trump cartoons is available for pre-order! For more information please contact tomtoro@gmail.com. To buy prints of my cartoons and other items, visit the Conde Nast Store. To license my cartoons, visit the Cartoon Bank.